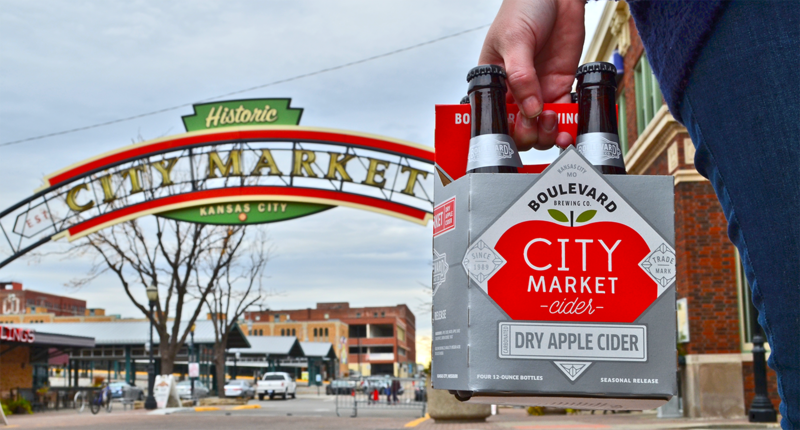 City Market Cider will debut in four-packs of twelve ounce bottles beginning in the Greater Kansas City Area on Tuesday, November 14th with other regions to follow soon. Additionally, a limited amount of City Market Cider will be available on draft in Kansas City, Lawrence, Columbia and St. Louis. Following the receipt of independent, third-party gluten content analysis, we're able to confirm that City Market Cider is below the established threshold (20 parts per million) and is, indeed, a gluten-free cider.